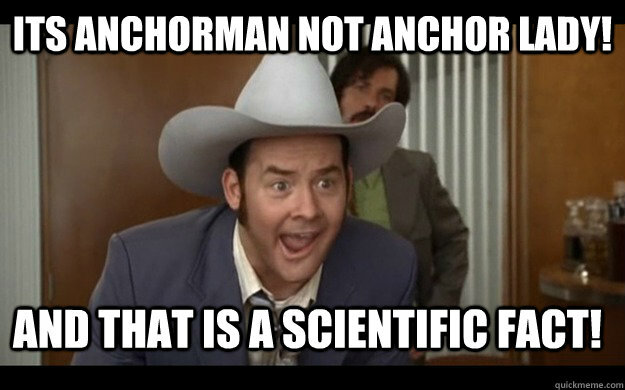 Anchorman wasn't a runaway hit with critics (it has a 66 percent Fresh rating on Rotten Tomatoes) or audiences initially, but after repeated viewings and repeating one-liners like "I love lamp!" it became a really big deal. Not only did Anchorman spawn a successful sequel (albeit, a far less-quoted and beloved one), but it helped solidify the cast as household names. Don't act like you're not impressed! Now, in the 10 years since Anchorman was released, everyone has quoted their favorite line from this movie at least once, if not endlessly. (The true diehard fans of Adam McKay's off-the-wall comedy can probably recite every line.) 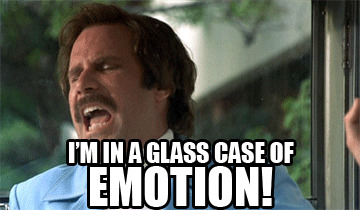 But what does your favorite Anchorman quote say about you as a person? Well, quite a bit, actually. Well, you're someone who — like San Diego's finest anchorman/jazz flute player Ron Burgundy — really loves scotch. If this is your favorite quote, you're a bit of a flirt/romancer. You'll only use the finest scents (with bits of real panther in it, so you know it's good) to impress the foxy man and/or lady you're pursuing. You're a pet lover who wears your heart on your sleeve, especially when said pet gets punted off of a bridge. You're someone who, even when you're down on your luck, can't seem to make any wise decisions to try and make things even remotely better. You love lamps. You love carpets and desks, too. You know as much about women as you do science. Which is to say, not very much at all. You tend to state the obvious. You don't take any guff from your male coworkers and can dish it back just as quickly when they try to one-up you. You don't speak Spanish, not in human or in dog. But you're not even mad at those who do speak Spanish. In fact, you're kind of impressed. If there's a lot of commotion going on, you're the type of person that will jump in on the action, even if you're not entirely sure why. You fight dirty when you get into verbal spats, going so far as to bring your enemy's mother into the mix. Which is a low blow, really, because Dorothy Mantooth is a saint! Okay, so you're not great at flirting with others. You are, however, skilled at riding furry tractors. You're not exactly the modest type. You're probably also prone to saying things like "Don't act like you're not impressed," "Hey everyone, come see how good I look," and "I'm very important. I have many leather-bound books and my apartment smells of rich mahogany."